Our modern dog den in silver is stylish and classy. Modern fashions have come to where dog’s sleep: their beds. Check out some of the newest versions of the venerable crates and old towels at the Posh Puppy Boutique. These three modern versions of the metal crates combine modern styles and fashion in elegant furniture. They work perfectly as “houses” for dogs and cats. They can also be used to hide litter boxes. Our Modern Dog Den in Silver ($780) is round with a starburst design on two sides of the powder coated steel. The design provides plenty of ventilation while also giving your pet lots of privacy. A sliding door lets you close them up when you are away. A comfortable cushion is included. Several sizes are available. It is Made in the USA. The Zen Dog Den comes in several colors and sizes. The Zen Dog Designer Den ($755) comes in your choice of black, mint, red or white. The oval design is made using fiberglass, providing a sleek, shiny exterior that is lightweight and smooth. A tempered glass top provides a solid, safe surface that be used to add light or as a place for a lamp or decorations. This design also features a removable door. The Designer Wood Crate has an optional replaceable steel front. The Designer Wood Dog Crate ($590) comes in either mahogany or espresso colors. Available in sizes from small to extra large, it has antique brass hardware and a removable and lockable interior door panel. This crate is made with non-toxic finishes over a tropical wood veneer atop medium density fiberboard. A slide-in steel grate using a circular hole pattern is available at an additional cost. Louis Dog makes several very feminine interior dog houses. Some girl dogs prefer a “house” that is fancy, feminine and has a touch of fantasy. For those little ones, the Posh Puppy Boutique proudly presents the Posh and Pink Bed ($185). This tent is made of pink micro suede with a pink and brown feather boa for trim. It is topped with a brown wood spire covered with Swarovski crystals. A brown cushion is included. It is also raised off the floor for your pet’s added comfort. A similar version in Café au Lait ($175) without the feather boa, and a much more masculine style, is also available. Other little girls might like something even softer such as our designer Louis Dog Peekaboo Dollish House ($280). One of several houses and beds from Louis Dog, it has a single entrance for your dog’s peace of mind. It features a ribbon-shaped window, a double-sided cotton and faux fur cushion and a lightweight plastic frame. It comes in petite or grand (add $50) sizes. The Peekaboo Girl’s Room House ($300) is also part of the Louis Dog collection. Two corsages and detachable ornaments enhance its look. We sell many variations of this shirt, which is perfect for Mother's Day. Mother’s Day is coming fast. Surprise your pet’s human “mom” by outfitting her favorite four-legged little boy or girl with a shirt or outfit from the Posh Puppy Boutique. Our I Love My Mommy Tank ($25) comes in small/medium, medium and large sizes. Designed for both boys and girls, this blue ribbed knit tank shirt has a metallic heart accent to proudly display its message. This shirt also has a high-cut, stay-dry belly for your dog’s comfort. It's warm, made with fleece and shows your dog's love for their human. This Embroidered Mom Hoodie ($45) features a tattoo-like design. Made with 100 percent pre-shrunk cotton sweatshirt fleece, it is fully lined in white, it will keep your pet comfortably on colder days while looking stylish anywhere. Sizes range from medium to triple extra large. This collar is made with the finest Italian leather. We also sell this Tattoo Collar ($180), which has a similar design. Made from the finest Italian leather, each collar has hand-painted edges, a plated buckle and logo “D” ring. The “mom” tattoo is made with enamel on metal. This collar comes in your choice of black, antique brass and silver. Sizes range from extra small to large. We have the perfect outfit for a little track star in training girl, our Mommy Please Say Yes Tracksuit ($65). This 100 percent cotton outfit is comfortable and cozy for use indoors and out. Sizes range from extra small to extra large. Color choices are blue, yellowand pink. Does your pup’s mom like to wear frilly clothes? Then consider these Mom’s Little Cuddlebug Classic Embroidered Pajamas ($50) for her little pal. Made to order by designer Toni Mari, these PJs covered in tiny hearts come in sizes from extra small to double extra large. Color choices include white/lime, white/fuchsia, dark purple/lime and dark purple/fuchsia. Designer Oscar Newman created this embroidered and appliqued shirt. If your pup acts like she is glued to their human, our Oscar Newman-designed Companion Dog Excellence Tee ($60) is the perfect fashion choice. Featuring exclusive artwork meticulously created with embroidery, appliques and Swarovski crystals, this shirt has an image of a Chihuahua and mom. It is available in double extra small and small only. Check out our extensive selection of doggie T-shirts and tanks, many of which come in your choice of 12 colors. Sizes tend to range from extra small to six extra large. Priced from $30, sayings include, My Mom’s A Cougar, Mommy’s ‘Lil Girl, My Mom Rocks, I Love My Mom, Mommy +Me=BFF, Mommy’s Girl, Mommy’s Best Friend and many others. The Promenade Pet Stroller comes in blue and pink. Taking small dogs—or cats—for a walk can be challenging from the standpoints of controlling your pets and trying keeping them safe. Going running is even worse since your little ones often can’t keep up. The Posh Puppy Boutique has a simple answer: doggy-designed strollers. Similar to those for human infants, these strollers compact quickly and easily for storage and transport, but offer features designed to keep your dog comfortable and safe. The strollers are designed for pets only, not humans. The Travel-Lite Pet Stroller ($130) is designed for smaller breeds of dogs and many cats. It has an easy fold mechanism, a removable waterproof tray, front entry, top window and viewing area and rear safety brakes. It can hold pets weighing up to 15 pounds. Color choices are pink and blue. For example, the Promenade Pet Stroller ($170) comes in pink or blue. It has swivel style locking rear wheels, four wheels, two cup holders, padded handles and two storage compartments for water, dishes, leashes, toys and clothes. The Promenade Pet Stroller can hold up to 25 pounds. The Regal Pet Stroller ($195) uses a three wheel design. Also able to hold dogs—or cats—weighing up to 25 pounds, the front wheel swivels on smooth surfaces and locks on rough ones. It comes in Gray Shadow, Mint Chip and Raspberry Sorbet colors. This stroller has a canopy, interior safety tether, reversible, machine-washable pad and folds flat for easy storage. The Double Decker lets you take two pets in comfort and safety. The Double Decker Pet Stroller ($260) has a larger covered area at the base for a bigger dog plus a smaller second enclosure for a puppy or tiny dog. It holds a combined weight of 25 pounds. The Jet Set Pet Stroller ($205) is designed to function both as a stroller and, by simply unhooking the storage area from the frame, as a portable pet carrier. Our Midnight Black Imperial Pet Stroller ($450) is a three-wheeler designed with your pet’s comfort in mind. It has front shock absorbers, front and rear entries, an adjustable interior tether and hidden front steel bar for added safety. An easy access basket and rear accessory pouch are part of the package. It can also carry up to 40 pounds of precious pet cargo. The Fifth Avenue Pet Stroller Luxury SUV can hold dogs weighing up to 50 pounds. The Fifth Avenue Pet Stroller Luxury SUV ($365) comes in blue or pink and hold pets weighing up to 50 pounds. Featuring a removable pet carrier, rear safety brake and washable faux fur cozy pad, this model—30 percent larger than standard pet strollers—also has flashing safety lights on the back pockets. The Roadster from Pet Gear ($350) is great for shy or older large dogs, since it can hold pets weighing up to 100 pounds. Made with 600 denier nylon, it has wheel brakes and shock absorbers plus a sturdy frame that rides low to the ground for east entry. Call us at 888-837-5230 with any questions, including sizing questions. Get the latest news and find out first about super specials by signing up for our email alerts and following us on Facebook. Susan Lanci just released her Fantasy Flower line of dog collars, leashes, harnesses and hair bows. Pet fashion designer Susan Lanci has just released a new line of Fantasy Flower collars, harnesses and leashes with matching hair bows. Get them now at the Posh Puppy Boutique. Like many of her products, Lanci’s collars and leashes are made from upholstery grade Ultrasuede ® fabric from Japan topped with a Swarovski crystal. The fabric is comfortable for your dog, washable and colorfast. Lanci’s products are assembled in the USA. Take for example the Fantasy Flowers ½ inch collar in Kiwi ($70). Available in sizes from teacup to large, this collar features one large and two slightly smaller pastel flowers, all with Swarovski crystals in the center. The matching leash, which has one flower, is also $70. Similar collars are the Fantasy Flowers ½ inch collar in French Lavender ($70), the Fantasy Flowers ½ inch collar in Perfect Pink ($70) and the Fantasy Flower ½ inch collar in Tiffi Blue ($70). Click here for a look at the Fantasy Flower ½ inch Leash in Lavender ($70). Here is the Fantasy Flowers ½ inch Leash in Perfect Pink ($70) and the Fantasy Flowers ½ inch leash in Tiffi Blue. Fantasy Flower harnesses come in two types: the standard model, which wraps around your pet’s neck and shoulders with a “D” ring centered below the shoulders, and a step-in version. The harnesses, like the collars and leashes, are made with Ultrasuede fabric. Color options in the standard harness, which has two fabric flowers on the back, include the Fantasy Flower Tinkie Harness in Tiffi Blue ($85), Fantasy Flower Tinkie Harness in French Lavender ($85), Fantasy Flower Tinkie Harness in Kiwi ($85) and theFantasy Flower Tinkie Harness in Perfect Pink ($85). These harnesses come in sizes from double extra small to extra large. The Fantasy Flower Tinkie Harness in Perfect Pink. The step-in harnesses feature fantasy fabric flowers on the shoulders. These harnesses feature a single over your dog’s shoulders. Simply insert their forelegs into the harness, snap it and attach a lead to the dual “D” rings mounted vertically above the shoulders. The Fantasy Flower Step-in Harness comes in French Lavender ($90), Kiwi ($90), Perfect Pink ($90) and Tiffi Blue ($90). Sizes range from teacup to medium/large. Complete the matching Fantasy Flower outfit of collar, harness and leash with a hairbow. The French Lavender/Kiwi/Tiffi Blue Hair Bows (set of two) is $23. These bows use a French-style barrette mechanism. It comes only in extra small, roughly 1.5 inches in diameter. Other color combinations are Perfect Pink/Sunshine/Kiwi ($23), Perfect Pink/Tiffi Blue/Sunshine ($23) and Tiffi Blue/Perfect Pink/Kiwi ($23). This Summer in Rio tank is made by designer Oscar Newman. 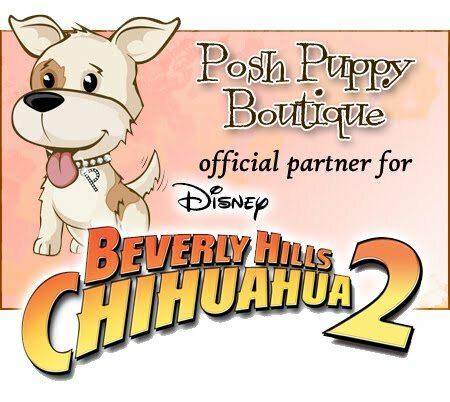 Whether it’s a sizzling spring fling, a festive Cinco de Mayo with friends or a family gathering for Mother’s Day, your perfect little lady dog will look spectacular in a designer outfit from the Posh Puppy Boutique. For example, our Summer in Rio Tank ($40) by Oscar Newman is designed with a Latin flair. Hot pink ruffles and contrasting brown trim create a simple yet stylish combination. Made with cotton and lycra, this chic tank is soft, stretchy and comfortable. Sizes range from double extra small to large. The Ribbon of Love gown comes in both peach and bright pink. Show your style with a touch of So Cal tossed in by adorning your precious pooch in our Ribbon of Love Gown in Brilliant Pink ($125). Available in sizes from extra small to large, this dress appears in the Quinceanera scene in Disney’s “Beverly Hills Chihuahua 3” movie. Made with 100 percent silk, it comes with an attachable long evening skirt accented with a flower. This gown is also available in Passion Peach ($125). Note that these gowns are made to order and are not returnable. This dress is custom made for a perfect fit for your little princess. Take a look at this handmade Couture Springtime Special Dress ($300). Custom made to your measurements, it features a bodice made with daffodil satin with a sheer white scroll overlay. The base of the bodice features a top-layer peplum with the same sheer white scroll overlay while a second peplum has the daffodil satin with a mesh trim. Three silk flowers with aurora borealis crystal centers are placed on the waist while an identical crystal flower adorns the neck. Your dog can look cute without spending a lot as this outfit is only $25. Looking cute doesn’t need to be expensive as our Pink and Purple Heart White Tee and Pink Skirt Set attests. For only $25, you get a chiffon heart T shirt and matching tulle ruffle skirt with a ribbon sash waistband. The two pieces can be worn separately or together. Sizes range from double extra small to medium. The All Dressed Up With No Place To Go tank ($30) is pretty, pink and has a bright red polka dot tulle bow on the shoulders making it perfect for any occasion. It comes in double extra small only. Our bright pink Fiesta Hair Bow ($7) compliments any dress or outfit. It comes with either Latex bands or a French clip. Boy Chihuahuas can show their Mexican heritage by wearing one of our polyester Sombreros ($20), which come with an adjustable chin strap. Add a Latin flair with the comfort of Alpaca fiber in this colorful sweater. The black and white sombreros compliment the bright and colorful Alpaca Poncho Lucky Condor Dog Sweaters ($65). These sweaters feature rich tones of red, midnight blue and royal blue in geometric motifs adorned with a fringe border. Made with Alpaca fiber that is sheared, not skinned, it is seven times stronger and three times warmer than merino wool. Being free of lanolin, it can be worn by dogs who are allergic to wool. This Sporty Bike Basket lets you take your smaller dog along on a ride. The combination of an active lifestyle and small pets means leaving your precious pals at home, at least for some dog and cat owners. Let’s face it, Chihuahuas, Pomeranians, Yorkies and other small breeds just are not built for runs and bike rides. We have those needs taken care of here at the Posh Puppy Boutique. We sell an assortment of bike baskets and bike trailers designed just for dogs and puppies. 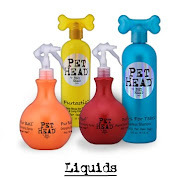 These products are meant for pets and are not rated for human babies. Now is a great time to buy one of these products because you can also get free shipping on any purchase made before midnight Pacific Time on Thursday, April 11. Enter the coupon code “freeship” at checkout. Among our bicycling products made for active pet owners is this Sporty Bike Basket ($95). Made with microfiber, it comfortably holds pets weighing up to 14 pounds. It even has a waterproof cover to keep your little girl or boy dry in the rain. Two water bottle pockets can keep the peddler and passenger hydrated while an interior leash prevents them from jumping out. This basket comes in two colors: red/black/gray and orange/black/gray. The Nantucket Bike Basket has a classic style. Our Nantucket Bike Basket ($120) is made with rattan for a classic look and style. Leather straps hold a wire basket over the top, protecting pets up to 10 pounds safe and secure. Pet Gear’s versatile 3-in-1 Bike Basket comes in a small size ($95) for pets weighing up to 12 pounds and a large size ($115) for those up to 16 pounds. This basket gives you the option of carrying it over your shoulder, securing it inside your car or attaching it to your bike. It has two pouches and zippered pockets, a fleece mat with internal tether and a sturdy nylon outer shell. In addition to being versatile, it comes in several colors: sage, black, copper, ocean blue, lavender, pink and tan. Small dogs may be able to ride in the front using one of these baskets, but the bigger boys and girls won’t fit. The solution is a trailer made just for your four-legged friend. The Track'r HoundAbout bicycle Trailer comes in large (above) and medium sizes. The Track’r HoundAbout Bicycle Trailer comes in medium ($266) and large ($315) sizes. The mediums hold dogs up to 50 pounds while the larges can take dogs weighing up to 110 pounds. The trailers are 25 inches wide, have easy release chrome coated steel rims and hubs, and use a hitch that attaches to the rear axle of all bikes. These trailers have a zippered mesh front screen and zippered vinyl layer providing little or strong protection from the elements. A removable, washable cushion keeps pets comfortable on the road while a total of three pockets holds plenty of supplies. These trailers also fold down for easy storage. The Mini Dog Bike Trailer can hold dogs weighing up to 55 pounds. Another similar option is the Mini Dog Bike Trailer ($300), which comes in Rebel Red and Spring Green. Designed for dogs up to 55 pounds, it has a fabric and screen mesh to provide protection against rain and sunlight, leash hooks at each corner, a flag to let other riders—and motorists—know where you are, an anti-slip floor and a sun roof. These are just a tiny sampling of the many bike accessories we sell here at the Posh Puppy Boutique. Call us at 888-837-5230 with any questions, including sizing questions. Get the latest news and find out first about super specials like our Free Shipping through April 11 deal by signing up for our email alerts and following us on Facebook. Dress up your pup with a baseball tie and collar. Play ball with your dog in more ways than one thanks to the wide range of sport team apparel available at the Posh Puppy Boutique. Dress your little boy dog up for a classy night out with our White Collar With Red Baseball Necktie ($35). Available in sizes from extra small to double extra large, the man’s dress shirt collar features has a Velcro closure for easy fastening. The collar is made with white cotton print fabric while the tie features a red fabric with white baseballs. A slightly different version ($30) features smaller baseballs on a blue background. This tie and collar comb uses a hook and loop closure. It comers in sizes from extra small to large. Our baseball vest has an attached bow tie. You can dress your little guy a notch beyond the tie with our Baseball Vest With Matching Bow Tie ($46). Sizes range from triple extra small to double extra large. This vest is made with fabric similar to the tie above. Our baseball pajamas a perfect for your little ball fans. If your little one is tired from catching the game—or playing fetch—dress them in our Baseball Pajamas ($40). Made from soft knit material, the body has baseball bats, mitts, caps, stars and the words “Go Team.” Navy blue sleeves and bright red ribbing, plus a stay-dry belly make them great for these spring—and fall classic—nights. You will find the same fabric used in our Baseball T-shirt ($35) made for dogs in sizes double extra small to small. Let your little girl get in on the fun of a day at the ballpark by dressing her in our Baseball Rhinestone Tank or Tee ($30). Made with 100 percent cotton jersey with a ribbed collar, tapered shoulder and double-stitched hems, they feature rhinestones, rhinestuds, nailheads and sequins. Sizes range from large to 4 extra large only. There are 17 color combinations to pick from. Take your dog out for a walk wearing your team’s officially licensed MLB logo on their collar and leash. For example, we sell the New York Yankees collar ($28) while a matching 6-foot leash is $24. The Yankees, and several other team collar/leash combos, come in pink and the team’s normal color. Call us at 888-837-5230 to confirm we have your team. We have a LOT of MLB licensed products such as this rope toy. Fans of the reigning 2012 World Champion San Francisco Giants can not only show their team allegiance on their dog’s collar and leash, but with their toys. For example, we sell this officially licensed San Francisco Giants Rope Disk Toy ($15). Made with durable rope, it is 8 inches in diameter. Our Bouncin’ Baseball Toy ($12) comes in small and medium sizes. It is a fun, squeaky and sporty durable rubber ball meant to be tossed, pawed and chewed. Find all of these puppy-related items and many more at your #1 shop for pampered pups, the Posh Puppy Boutique. Call us at 888-837-5230 with any questions, including sizing questions. Get the latest news and find out first about super specials like our new “Free Friday” one that starts March 15 by signing up for our email alerts and following us on Facebook. Our Camo Carrier has comfort, style and security for small dogs. Every dog, especially young puppies and smaller breeds, loves being carried by their favorite person: you. Here at the Posh Puppy Boutique, we sell many “cuddle carriers” that combine warmth, comfort, the security of having your small dog next to you and fashion in one. For example, one of our newest arrivals is the Camo Dog Carrier ($65) from designer Cha Cha Couture. Designed for dogs under 7 pounds, this camo carrier is designed for women with pink trim and details adding femininity to its practicality. Cha Cha Couture also makes a Denim Dog Carrier ($65) adorned with fun lace, stitching, beads and pom-poms. Both carriers keep your precious bundle of joy on your hip, leaving your arms free. The Gia Snuggle Sack comes in two sizes. Another great example of this style of carrier is the Gia Snuggle Sack ($135) from Ruff Ruff Couture. Made in the USA of durable and luxurious leopard velvet, it is lined with soft velour to keep your dog—up to 6 pounds—comfortable. This snuggle sack has wide straps, two side pockets and an interior safety strap for your peace of mind. It’s also reversible and machine washable. An embroidered studded rose adds to its appeal. A larger version ($145) holds one or two dogs weighing up to a combined 9 pounds. The Fruit Frenzy is one of several reversible sling pet carriers. Our Fruit Frenzy Reversible Sling Carrier ($40) holds pets weighing up to 8 pounds. Made with 80 percent polyester and 20 percent cotton, the colorful fabric screams fruit and fun. The inside is bright pink. It is also machine-washable, like many of our fabric products. The Fresh Water Reversible Sling Carrier ($40) features a blue and pink paisley pattern. Both carriers will hold small pets up to 8 pounds. The Reversible Sherpa Sling Pet Carrier ($40) uses a similar design with faux suede on one side and cozy sherpa on the other. It comes in two colors: Raspberry and Ultra Violet. These carriers also have a weight limit of 8 pounds. For something slightly different, consider a messenger bag-style Espresso Curly Pupper’s Purse ($100). Made with heavy duty waterproof nylon pack cloth and lined with soft minky fabric, it features a removable pillow and inside elastic tether with swivel hook. It also has a large exterior pocket. Designed for dogs weighing up to 10 pounds, this carrier’s 1.5-inch wide straps are detachable, allowing the purse to be easily washed. Other color combinations include the Brown with Daisy Party Pupper’s Purse ($100) and the Black with Blue Curly ($100). Sacramento-area fans, be sure to vote for the Posh Puppy Boutique on the KCRA 3 A List ballot. The local television station’s “A List” ratings include customer comments so potential shoppers can explain what they like about a given store or business. Don’t have a dog yet? Consider adopting a rescue. Click here for a partial list of Chihuahua rescue sites. Click here for a partial list of Staffordshire Terrier (aka “pit bull”) rescues. And click here for some large and giant breed rescue sites.